1See dealer for details 2Discount applies to this unit only 3Not available with special finance or lease offers. See dealer for details. 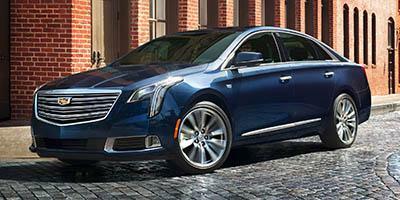 The Cadillac XTS is a sedan with versatile capabilities. The entry-level model comes equipped with the 3.6L V-6 engine, but you can also choose more power. Every XTS trim level has direct fuel injection for efficient power. With sophisticated safety features like Lane Departure Warning and Rear Cross Traffic Alert, this sedan looks out for you and takes care of your safety. Step into the comfortable cabin which has been designed with premium materials and features a roomy back seat, huge sunroof, and onboard Wi-Fi with the ability to stream music and access apps on the road. Come over to your local Cadillac dealer near Raleigh and Durham. We have a large inventory of new Cadillac models for you to select from. Explore the inventory to find the color and trim that work best for you. If you would like to learn more about the buying and leasing options available at your local Cadillac dealer, then give a call at (919) 764-0345 or contact via email. We also have some great financing options at our dealership. Check whether you pre-qualify for auto financing now.